The new emblem featured a globe showing the western hemisphere intersected by a fouled anchor and surmounted by an eagle. Atop the device, a ribbon was inscribed with the Latin motto "Semper Fidelis." The globe signified the service of the United States Marines throughout the world. The anchor was indicative of the amphibious nature of the Marine Corps. The eagle, symbolizing a proud nation, was not the American bald eagle, but rather a crested eagle, a species found throughout the world. Click here to continue reading. MarineParents.com, Inc. is an Official Marine Corps Trademark Licensee, meaning that we have permission to design and sell clothing, accessories, and decor featuring the Eagle, Globe, and Anchor (EGA), in which we pay royalties on, through our online store, EGAshop.com. Click here to see our designs centered around the EGA. Click here to shop by all designs. Click here to shop for family designs. 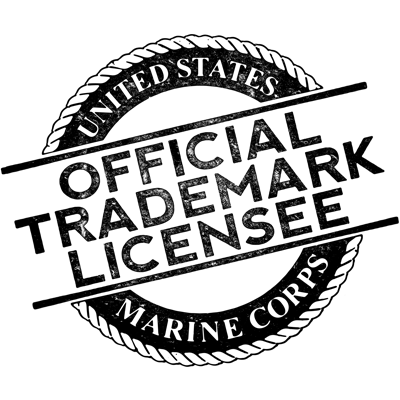 Since we are talking about the meaning of the Marine Corps logo, we thought it would be nice to give an explanation of what the MarineParents.com logo means. 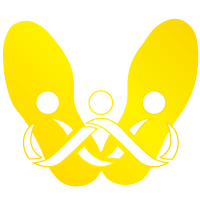 Our logo resembles the infinity symbol, which represents how MarineParents.com is there for you for a lifetime, no matter where you or your loved one(s) are in the Marine Corps Career. The logo is an image of three people connected with one another, showing that MarineParents.com provides a Place to Connect & Share� for military families. For some, those connections are not only physical embraces of caring, but also a representation of the infinite number of relationships being created by Marine Corps families. While most of these connections are made in a virtual world -- via Marine Family Network™ and/or Official Marine Parents and Official Recruit Parents Facebook groups -- the relationships forged with one another are very real, just as the support of our outreach programs is very real. Likewise, infinity is virtual, yet real. Provides support, information, and services to poolee and recruit family members while their loved one is in boot camp and provides exhibit materials during spring poolee events. Provides an OPSEC-compliant Place to Connect & Share� for recruit and Marine family members that is guided by trained volunteer moderators. Provides support, information, and services to Marine family members during their new Marine's School of Infantry (SOI) and Military Occupational Specialty (MOS) schooling. Supports deployed troops by sending care packages with letters and items donated by individuals in communities throughout the United States. Provides support to wounded, ill, and injured troops through prayers and letters written by individuals in communities throughout the United States. Provides information about Permanent Duty Stations in our Unit Information Database and answers questions about deployment. Provides resources, support, fellowship, and social events to wounded, ill, and injured troops and veterans, including those living with combat operational stress and/or post-traumatic stress, as well as to provide resources and support to caregivers and family members. Provides support, information, and services to post-9/11 Marines and their family members during the transition into IRR, reintegration to civilian society upon discharge from the Corps, and as veterans. 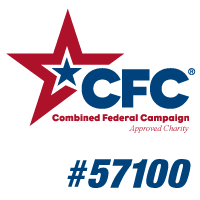 Provides support, information, and services to Gold Star family members, promotes events, memorials, and foundations in memory of their loved ones, and encourages the public to honor and remember our fallen heroes. 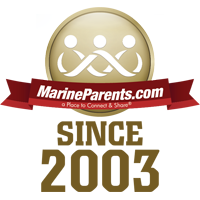 To learn more about MarineParents.com, click here. Design featuring the Eagle, Globe, and Anchor on sale! Click to shop now!